Considering the circumstances, Aston Villa’s transfer window went quite well as they managed to keep hold of key players like Jack Grealish, however Steve Bruce’s business should not be finished yet with the club still able to sign players on loan up until August 31. One area of his squad that must be improved as soon as possible is at left-back, with Neil Taylor the only senior option that is able to play in the position at the moment. The Villains did reportedly make a late effort to sign Joe Bryan from Bristol City, with the London Evening Standard claiming that Fulham hijacked the Midlands club’s deal after a medical had taken place on Wednesday. 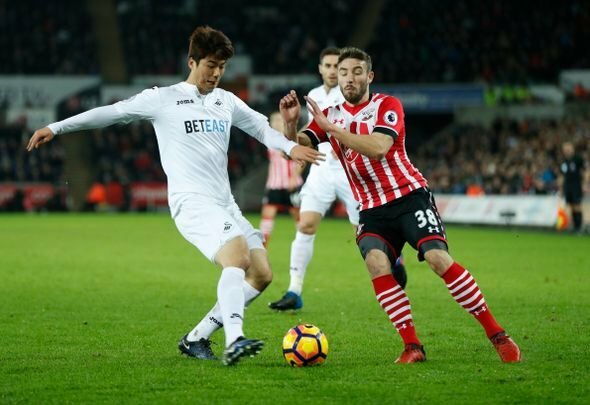 After missing out on Bryan, Bruce must now turn his attention towards Southampton left-back Sam McQueen, who could be available on a loan deal before the end of the month. Football Insider has recently reported that McQueen, 23, was being lined up to replace Bryan at Ashton Gate, but so far, he remains a Southampton player and is well down the pecking order at the Premier League club with Ryan Bertrand and Matt Targett also playing in his position. McQueen is a very attack-minded left-back and would be an upgrade on Taylor, whose form has taken a shocking turn for the worst over the last year. The £18,000a-a-week (Spotrac) player made just eight first team appearances for the Saints last season, but impressed in the Under-23s as he managed to score six goals in eight Premier League 2 games. Villa could really do with McQueen and Bruce must try to strike a loan deal for the former England Under-21 international as soon as possible to avoid him falling into the clutches of their Championship rivals.